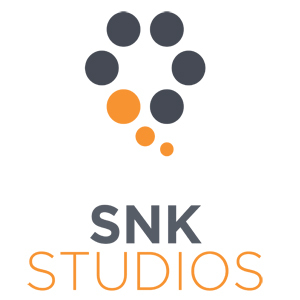 SNK Studios is one of London's busiest audio book recording studios and production facilities. We love working on audio book recordings! They involve passionate actors, talented authors, and bring joy to many millions of listeners all over the world, and we're proud to be a part of the production process. SNK is the number one choice for many leading publishers and production companies working on all sizes of audio book recording projects, abridged and unabridged, in every genre. Our team can take care of the whole production process from casting, handling buyout agreements and the recording, through to edit, check listen and master into any delivery format required. We've worked on literally hundreds of titles over the years and take great care to ensure that the service and quality is always second to none. Regular clients include Audible (an Amazon company), AudioGO (the home of BBC Audiobooks), Random House in the UK and the US, Scholastic, Macmillan and many others, including independent producers. As you'll see from our lovely 'Wall of Fame' we're used to looking after famous actors and authors ensuring a comfortable, successful experience for everyone involved. Our fully air-conditioned (but silent!) recording studios that benefit from natural light and comfortable, spacious voice booths are perfect for those lengthy sessions.